Dictionary.com states that adaptability is being able to adjust oneself readily to different conditions. 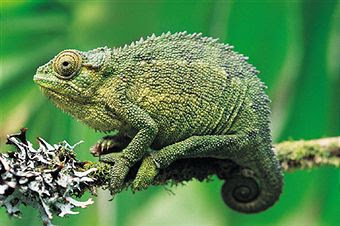 In school days when I used to study science, there were many examples given in our science books about how plants and animals adapted to changes in the environment in order to survive. Ones who were not receptive to change perished and the ones who adapted survived. One example that you could easily relate to is that of the cactus plant. The cactus plant adapted itself to survive the tough conditions of the desert. Bhagavad Gita states that change is the rule of nature. I do not think it is difficult for any one of us to make sense of this. We cannot avoid change. We ourselves are changing every second. Our body is changing and so is our thinking. With age our priorities also change. The toys that mattered to us the most during childhood find no relevance now. At the most it may still find place in your show case. However, you won’t find yourselves playing with those toys now. As time passes everything around us is changing. In a storm, the most rigid of trees get uprooted. It is the flexible ones that survive the storm. In your professional life too, you may quit one organization and join another for better prospects. In the initial days you will find it difficult to adjust to the changes. The rules in the new organization would be different from the previous one. The way the management functions will be totally different. The colleagues will be different. You may miss your old friends. However, you would be the one who will be making adjustments and not the organization. Adapting to new work environment will be your responsibility. No organization will change for an individual. You won’t be able to survive in the new organization for long if you don’t become accustomed. My personal experience too has shown that being flexible to change has actually helped me achieve success. Being rigid would not have helped at all. In fact, it would have done more harm than good. Resistance to change is the biggest blunder that one can commit. Look around you; economics, society, technology everything around you is changing constantly. We are always trying to acclimatize ourselves to these changes. Friends, be receptive to change. 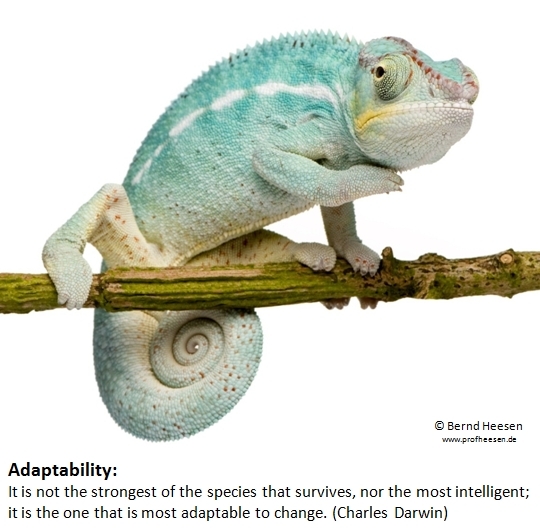 Show that willingness to adapt as adaptation is the key to survival. Wonder why people hate Anna Hazare? I have a friend in Facebook who is consistently posting comments criticizing every move of Anna Hazare and I am not able to make sense of it. He doesn't like his crusade against the Congress. He feels that Anna is targeting Congress only. May be he is a big time Congress supporter. I do not think even if he is a Congress supporter, he should hate Anna. Even if he hates Anna, he can still stand against corruption or support a movement to root out corruption. I do not know whether Anna’s fight against corruption has any self-interest. I really don’t know whether he is doing it with deep love for the country. A Congress leader even goes to the extent of targeting Anna and his team of being corrupt themselves. I myself do not know whether Anna or any member in his team is corrupt. Just for a moment let us all believe that Anna Hazare is the most corrupt person in the whole world and his team too is involved neck deep in corruption. Now if this is really true, then he should definitely be eligible to feature in the Guinness book of world records. You will ask me, why? Show me one person in the entire world who is a thief and is fighting hard to bring a law to punish thieves. So, if Anna is corrupt and still fighting hard against corruption, then he should definitely get recognition for this. Every political party in this country is corrupt. There is no party out there whom we can single out and say that it is free of corruption. Anna is targeting Congress right now. I do not see anything wrong in this. Most scams have happened during Congress rule. The biggest scams of recent times have the involvement of the Congress government. So, what is wrong if Congress is targeted? Moreover, the Congress party had tried to suppress and oppress a peaceful agitation. If they were clean, why should they fear one man? Why they tried hard to malign Anna’s image when he was on a fast unto death? If Congress had any credibility then they should have fought a battle on principles rather than stooping low and make false allegations against Anna. One of the Congress spokesperson later on had apologized for insulting him. This indicates how much apprehension the Congressmen have in their minds for Anna Hazare. I have not seen such a confused Prime Minister since I started following politics. Whether you hate Anna or love Anna or just admire him. I have a simple statement to make here. The man is not important; it is the mission that matters. Do not support Anna Hazare if you do not wish to but what stops you from fighting for a strong law against corruption. With or without Anna, a strong law against corruption is the need of the hour. Let us unite and fight for it. Does getting a big fat salary or a higher designation imply that you are successful? I do not feel it does imply success for an individual. 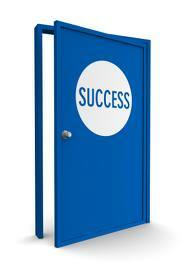 These factors may be considered as indicators of success for the outside world. For an individual true success is achieved when he can look into the mirror each day and say to himself with a smile on his face that I have achieved success. If you feel ashamed of yourself in the manner you have achieved success in whichever field you may be, then it is not true success. In my work life, I have come across individuals who would try to take credit for others work or appease their bosses to achieve success. They will stoop to any level to please their bosses in order to achieve more than what they actually deserve. In the short term they manage to reach places that they do not deserve to be by these antics. However, they can’t stay put there because it was not through their own genuine hard work or ability that they managed to reach such levels in their career. What happens to them in the long term? Their success is like a bubble waiting to burst. As long as they have bosses to support they will stand, the moment this support system gives way, they will have a hard fall. They will stand exposed when their ability comes to scrutiny, which sooner or later will. This is when they will find it tough to prove themselves because they never had to do that before. My personal experience has been that it is better to play the wait and watch policy before starting to climb the ladder of success. Try to understand what it takes to achieve success in the field you are. Gain as much knowledge about the work you are doing. It may take time for this but then it is worth it. Do not fear failure. Learn from mistakes and keep moving forward. Persevere without losing patience and get motivation from the work you are doing. Do not rely on any outside stimuli to get motivated. Do not expect appreciation from others. If you do and you do not get it, this itself will de-motivate you. Instead focus on the job at hand. Do it in the best possible manner. Be pleased and reward yourself for doing a job in an efficient manner. Inner satisfaction is more important than getting appreciated by others. I am not saying that appreciation from others does not matter. I am only saying that do not yearn for it. If it comes welcome it and if it doesn’t come don’t get disappointed. It will come when it has to. Nobody can stop yourself from appreciating a good job done by you. Keep doing this because ultimately it is what you think of yourself that matters than what others think of you. Hence, for those who are chasing success, my advice would be to please stop chasing success. First and foremost keep yourself grounded. Develop the abilities that you would need to achieve success. Keep on improving yourself. Develop the muscle power so that you have the strength to knock at the door of success and if needed knock it down rather than relying on someone else to open the door for you. 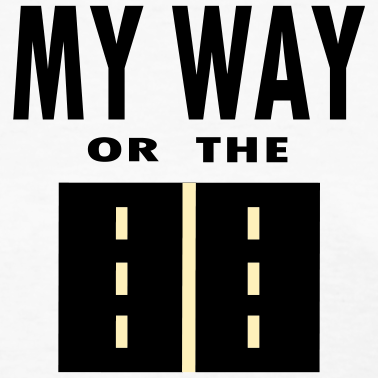 In life you will come across few people who will have a “my way or the highway attitude”, stubborn to the bone. How do you deal with such people? I would rather ask; do you really need to deal with such people? Frankly you just don't have to deal with such people. Talking sense to such people would be like banging the head against the wall. My way with dealing with such people is not the highway. You should hear them but not listen as they don't really deserve any extra attention. My way or the highway attitude is actually their effort to portray that they are larger than life. Catering to them or giving them extra attention is actually falling into their trap. Treat them as you would treat any other person even if there is a risk of the overall atmosphere getting spoilt. Tantrums they will throw and the thing you need to do is to not pay any significance to such tantrums. Their purpose gets served if we acknowledge their acts that are driven towards seeking attention. My experience has always been that such people who create miserable situations for others do at some point realize their mistake. Life makes them realize that such attitude won’t take them far. Many of them take to such high handed attitude when they achieve success too early in life. Some get this attitude as they are pampered by their parents to a very great extent. All their wants get fulfilled due to which they cannot take no for an answer. They are so used to listening to yes for everything they ask for, that when they hear no, it irritates and frustrates them very much. My advice to my friends would always be to not keep a confrontational or aggressive attitude towards such people. I am not saying that you take any nonsense of theirs lying down. I am only saying that rather than being aggressive and being like one of them you can instead by assertive and yet calm. As a child my mom used to warn me when playing with fire. She used to always tell me that do not play with fire, you may hurt yourself. I think the UPA government and the Congress party are orphans and they do not have a motherly figure to give them such an advice. Else, how could you explain them playing with a fiery character like Anna Hazare? I really do not know how good or bad a person Anna Hazare is. However, I know for sure that the cause he is fighting for is the need of the hour. We can’t expect the corrupt politicians to bring a strong law that will restrict them from looting the nation. If you catch hold of a thief, will you allow the thief to decide the kind of punishment he should be given? How can we then allow these corrupt politicians to decide on a punishment for themselves? After Anna’s fast at Jantar Mantar, the UPA government was forced to discuss the Jan Lokpal bill. However, even after those discussions, the initial draft that they prepared for the bill was a weak one. The Congress accused Anna of undermining the Parliament by not waiting for a debate on the bill that the Congress is proposing. However, I do not understand why the draft proposed by Anna and his team could not be considered for discussion in Parliament. Let all points be discussed. Why should points like including the Prime Minister and judiciary in the ambit of Jan Lokpal be left out from being discussed in Parliament? Whether or not such a bill gets passed should be left to the Parliament. Anna had given ample time to the UPA government and had also warned the government about going on an indefinite hunger strike if they fail to bring a strong Jan Lokpal bill. He being a citizen of India has every right to protest but the Indian government made sure that they laid down conditions like hunger strike should not go beyond 3 days and the number of people assembling should not cross 5000. There were many other stupid conditions laid out to frustrate and dissuade Anna Hazare and his team from going on a hunger strike. Around 8 am on 16th August, 2011 (Tuesday), Anna Hazare was detained from lawyer Prashant Bhushan's house in Mayur Vihar in Delhi. Hazare was sent to seven-day judicial custody in Tihar Jail. It is ironical that a person fighting corruption is being held at the same Tihar jail where most corrupt politicians of all times Suresh Kalmadi and D Raja have been jailed. I do not understand which law was imposed to arrest Anna since he had not even stepped out of the house to begin the hunger strike. Nationwide protests followed his arrest. 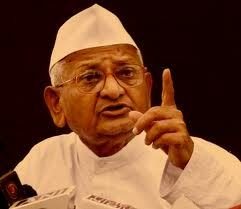 Supporters of Anna Hazare courted arrest to express their solidarity with him. The support for Anna and his cause has been overwhelming. Unlike political parties that pay people to come for their rallies, this was something spontaneous. 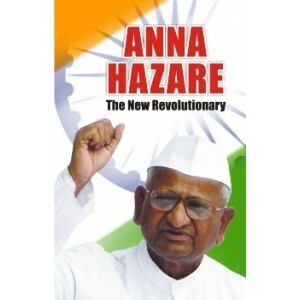 Noticing the support that Anna Hazare was getting, the jail authorities were ordered to release Anna by 9:30 pm on Tuesday. However, Anna refused to come out of jail. I really pity the Congress and at the same time I feel that Manmohan Singh, the Prime Minister of India has to come out and explain to the nation. He being the Leader of the nation cannot keep tight-lipped about the whole issue. I strongly feel that the way the Indian government has acted can be termed as an attempt to murder democracy. Pot holes of Mumbai and Mumbai rains are inseparable. Rains arrive and pot holes start appearing right after. It seems like they are made for each other. At least the organizations responsible for the roads would want us to believe so. These organizations are supposed to do something to ensure that roads are pot holes free. Do these organizations do anything to prevent pot holes from forming? No, they don’t. If they can’t do something to prevent pot holes from forming and if we have to live with the pot holes, then we should be doing something innovative and creative to ensure that we enjoy and celebrate their presence. Create a profile named Pot holes on Facebook. Pictures of pot holes can be uploaded and shared. We all can then like it. We can also start a cause on Facebook called “Save pot holes”. We can then protest filling up of these pot holes after monsoon. If they fill up the pot holes and kill them, we would then get used to good roads. It will become very difficult for us to adjust to pot hole ridden roads again in the next rainy season. Moreover, separation hurts. We can organize a pot holes competition and have film stars to come and perform on stage to promote the competition. At the end of the show, the area with the biggest pot hole and the maximum number of pot holes should be awarded a cash prize to ensure that year after year their numbers can be maintained. Possibly the money could be utilized to create situations and circumstances so that new pot holes come up and existing ones grow larger in size. May be someday these pot holes will find mention in the Guinness Book of World Records. Pot holes tourism. Pot holes are a rare site for developed nations. We can take pictures of pot holes and post it on online sites promoting tourism. We will generate good revenue out of it. I am sure these pot holes will give tough competition to the Goa and Kerala tourism industry. Pot holes can be used for agriculture. The portion of the road having pot hole cannot be utilized any ways. Using it for agriculture will help boost our agricultural production thereby giving a thrust in the right direction for the Indian economy. Students can do Phd on pot holes. They can then write books on the history, art, science and economics of pot holes. 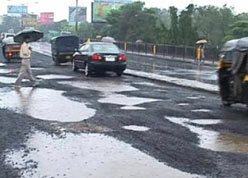 The citizens of India can be provided training by the Indian Army to drive battle tanks on these pot hole ridden roads. Such trained soldiers can then join the Indian Army and protect our nation from our enemies. I think they can also join the Short Service Commission. I know I am being sarcastic about the whole situation but then what else can be done about this. We all know that pot holes are growing only and only because of corrupt officials of the organizations responsible for construction and maintenance of roads. These officials allow contractors or should I say force contractors to create roads of inferior quality. The contractors pay bribes to the officials to bag contracts. Now after paying a hefty sum to the officials passing the contract, whatever little funds that remain will be utilized to do shoddy work. Moreover, these roads are like the goose that lays golden egg. If you build a road that lasts for 4-5 years then next year there won’t be any contracts for repairing the roads. So, why would someone kill the goose? All life is an experiment. The more experiments you make the better. What if they are a little coarse and you may get your coat soiled or torn? What if you do fail and get rolled in the dirt once or twice? Up again, you shall never be afraid of a tumble. So very true, isn't it? I read this quote and realized that it is actually a fact. 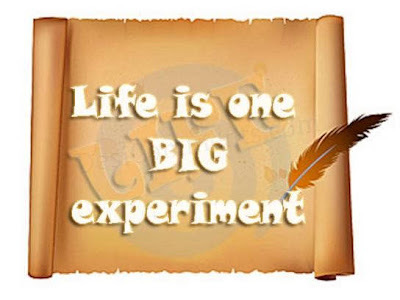 Yes, life is an experiment. No one knows what it has in store for us. We come into this world knowing nothing. That first step we took was an experiment. We try things and fail. We keep trying and then someday we succeed. Successful experiments do boost your morale. However, it is how we react to our failed experiments that test our mettle. In either case, it is a learning experience for us. Look around and you will find many people who didn’t have the resources or the expertise to deliver. Yet, with sheer persistence and their willingness to experiment, they triumphed. Life will throw many challenges towards you. It is how you face them that will decide your fate. The challenges may be unique and so has to be your reaction to those challenges. We can never be sure about the outcome of an experiment. To experiment is in our hands, the result of that experiment is something we can only speculate. The most important thing is to keep experimenting and learning from those experiments. 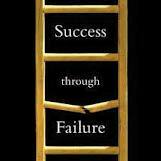 Success or failure, let us accept whatever comes our way. Just keep moving forward with life. One set back should not halt our journey. Let us keep treading until the Almighty decides to end our journey. Let us keep faith and keep a positive outlook towards life. 20-20 World champions, No.1 Test team and now one day international world champions for the second time, what more can you ask for? Before the match started I had received a sms indicating that the match was fixed. I ignored it initially. But looking at the Srilankan score and the way Sehwag got out early I somehow suspected that things were going as mentioned in the sms. However, after the match I felt guilty for suspecting our Indian team. If after fixing the match it could be made so interesting then I wish every match gets fixed. Indians played like true champions to chase a target of 275. Sachin and Sehwag got out early and all hopes were lost. Gautam and Virat steadied the innings. Then captain cool Dhoni arrived at the crease, ahead of Yuvraj once Virat lost his wicket. He along with Gautam laid the foundation of Indian Victory. Gautam got out and Yuvraj stepped in. Both Yuvraj and Dhoni finished off the match in style. Dhoni was adjudged man of the match and Yuvraj the man of the tournament. It was a great sight to see them together in the middle winning it for us. Everyone had written off India after looking at the way they played the league matches. They were pitted against the mighty Australians in the Quarter Final. Though every Indian would have been happy about the fact that India made it to the Quarter Final, no one would have imagined that they would win against the Aussies. The win against Australia is what turned things around for the Indian team in the World Cup. Pakistan’s history against India in the world cup was poor. History repeated itself this time around too and India defeated arch rivals Pakistan in the semifinal match to reach the Finals to have a face off with the Srilankans. I personally had this belief that winning against the Srilankans would have been very difficult especially once India lost the toss. In a world cup final, the team chasing has by and large always lost the match. Also, a target of 275 to chase in a world cup final seemed like a tough ask. 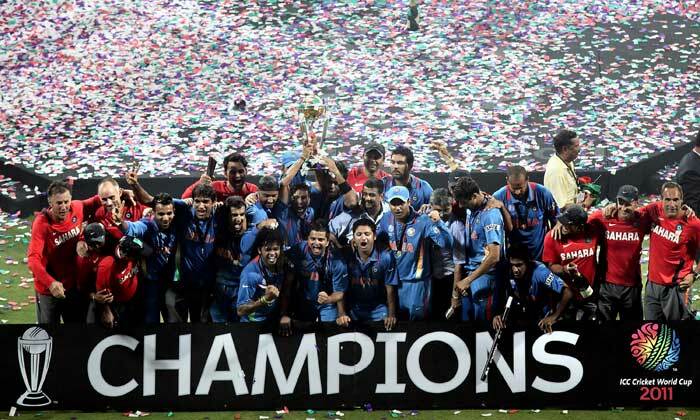 But Dhoni and his team proved to the world that they can do it and they did it in a commanding manner too. 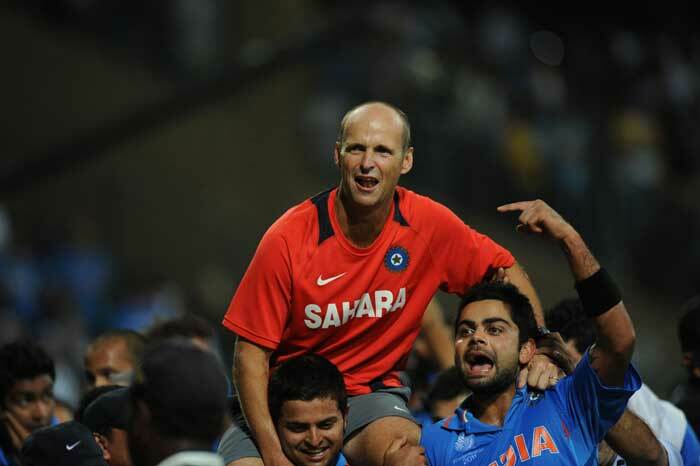 Not to forget Coach Gary Kirsten who too has been instrumental in this victory of ours. It is sad that he is no longer going to be with our Indian team. I wish he could have continued the good work for us. After the match was over, he and Sachin were lifted by the Indian players on top of their shoulders and rallied around the stadium. It was a great sight to see Sachin smiling like a small kid. A commentator interviewing Virat Kohli asked him about carrying Sachin on top of their shoulders to which Virat gave an apt reply. He said that Sachin has been carrying the burden of Indian cricket on his shoulders for 21 years and it was now their turn to lift him on their shoulders. 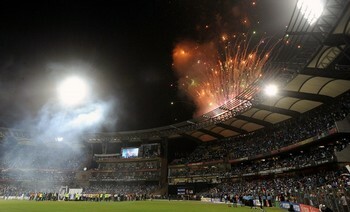 This shows the amount of respect that the Indian team has for Sachin. Being part of a World cup winning side must have been a long cherished dream for this greatest cricket player of all times. I am very glad to see that his dream got fulfilled today. I wish Captain Dhoni starts a coaching class for leadership training. He is a great leader who leads from the front and a great example to follow. The whole world questioned so many of his decisions and yet he delivered not by words but by actions. The media was so critical of him and yet he kept his cool. He was brave enough to admit the mistakes he made, which is again a sign of a great leader. I am sure the media will be all praise for him now that he has taken India to victory. He saved his best for the last and he truly deserved the man of the match award. It was great to see him lift the World cup. 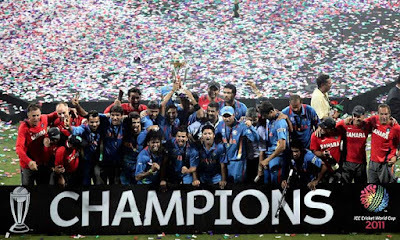 I thank team India for giving us this great moment of joy. It was nice to enjoy every moment of India's run chase along with my friends. I will cherish this for a long long time to come. Today is Valentine’s Day. I know everyone knows it. Until last year, this day had no significance for me. Since last year it has become one of the most important days of my life. Don’t you feel like asking me, why? On this very day, a year before, I got engaged to my wife. The journey from engagement to marriage was too short and action packed. Before getting engaged it was like not having the license to love. However, after getting engaged I knew that I could show that finger to anyone who dared to question us. Hey, don’t miss understand me, I was hinting at the ring finger. The days before marriage from the time we got engaged were hectic. On one hand, the feeling of getting married soon was keeping us excited and on the other hand we had to make preparations for our marriage, hence meeting each other was becoming difficult. I distinctly remember my engagement day. On that day, the nick name my wife had given me got justified. She refers to me as JIT (Just in Time) and I was just in time for my engagement. I was on my way to the engagement hall and our vehicle got stuck in traffic. I was getting worried that I may reach late. However, I managed to reach in the nick of time for our engagement. From my personal experience I have learnt a very important lesson about Love. Love is like a butterfly. I had tried to chase it and got frustrated when I could not catch hold of it. Then when I stopped and sat down after running out of hope, it came and sat on my shoulder. We are sent into this world in pairs. Even before we are born, a life partner for us has been decided. Who she is, when you will find her, is known only to Almighty. Some find their partner early some have to wait a tad longer. Someday you are destined to find that special person is a fact of life. Be patient enough to wait. I assure you that you won’t be disappointed. My first blog of the year 2011. Why so late? Because, I was in Kerala to welcome a new addition to our family. My sister in law gave birth to an angel on 1st of January, 2011. It was so nice to see the baby sleep peacefully oblivious of what is happening in the surrounding. I don't think there could have been a better way to start the new year. As always a New Year makes you think about what is in store for you in the coming days. 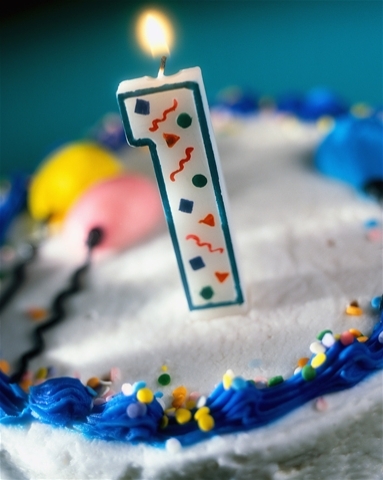 Would this year be better than last year? Take each day as it comes is a very easy statement to make. Every person has to make arrangements for a tomorrow and so he or she is bound to think about what next. You may cut yourself off from such thoughts for few moments but the fact remains that you need to plan for a tomorrow that is waiting to unfold before you. A tomorrow that is unknown yet almost certain with all its uncertainty. The only question mark on it being your existence. I too have plans for a tomorrow. Some may materialize some may not. The ones that do not materialize will wait, hoping for another tomorrow. 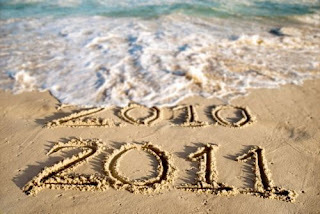 2011 will turn out to be an eventful year is my gut feeling. 2010 had been a special year and so was end of 2009. I guess lady luck will shine on me this year too. There are few milestones to be achieved this year. Few personal milestones close to my heart. I hope I would be able to achieve them. I also hope that everyone out there is able to achieve what he or she has set out to achieve this year. Let success welcome you with open arms. Wish everyone a Happy and Prosperous New Year!